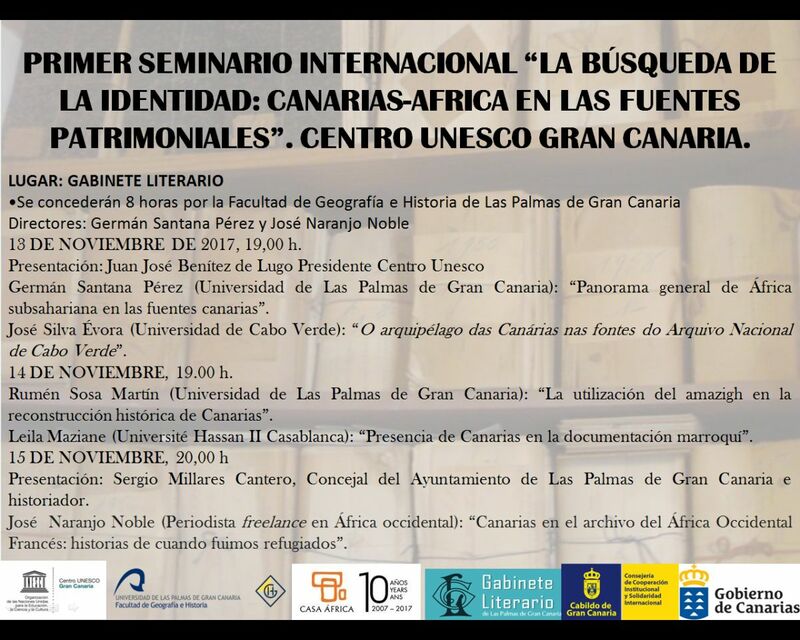 Dr Germán Santana Pérez and journalist José Naranjo Noble are the leaders of this international seminar which, in its first meeting, aims to examine the well-known and well-documented ancient relationship between the Canary Islands and its closest geographic neighbour, West Africa. The relationship between the two shores (that has allowed the creation of ties that still exist today) is well known, but: How did we begin to relate? What do the historical archives of each region say about the other? Did you know that there was nearly a diplomatic conflict when West Africa was under French rule? A select group of experts, who have scrutinized the historical archives in order to document this relationship between the Canary Islands and Africa, are coming to talk to us about this and other discoveries. We can assume that many of these contacts were not documented, but we will be told about what is recorded from 13 to 15 November in the Las Palmas de Gran Canaria Gabinete Literario by the experts attending this seminar.